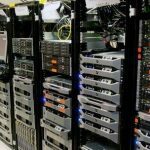 Building upon our reputation for excellence, our San Francisco data center services are designed to cater to new audiences and to provide complete outsourced IT solutions so you can focus on running your business. Find out why 200 Paul is one of the best California data centers. The leading bay area colocation center, our San Francisco data center hosts many industry-leading tech conglomerates. 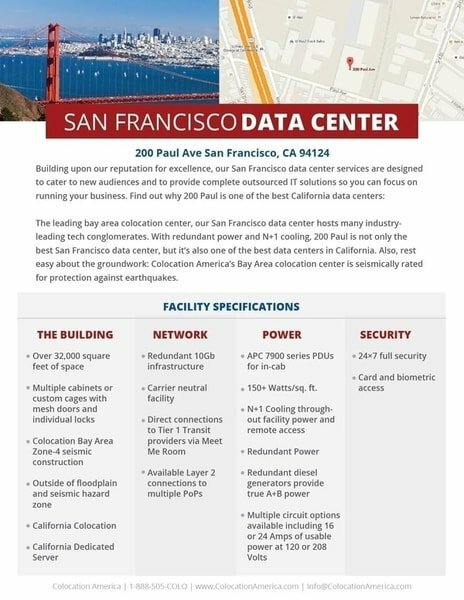 With redundant power and N+1 cooling, 200 Paul is not only the best San Francisco data center, but it’s also one of the best data centers in California. 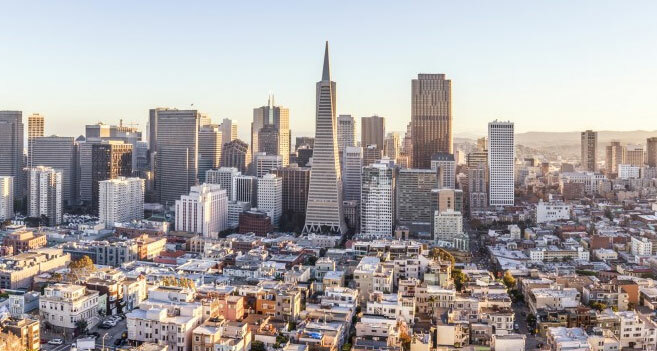 Also, rest easy about the groundwork: Colocation America’s Bay Area colocation center is seismically rated for protection against earthquakes. Schedule a tour or get a quote today, whatever you need we are here to help.